A three-pack will cost you $380. The Galaxy S8 might have grabbed all the attention at Samsung’s Unpacked event in March, but it wasn’t the only buzzworthy piece of tech unveiled on the big stage. Samsung also released Connect Home, a new smart hub that doubles as a Wi-Fi mesh router for all-over control of your gadgets. And you’ll soon finally be able to buy one. Samsung has announced that Connect Home will be available for purchase at Best Buy stores on July 2, but you can preorder one beginning June 4 on Best Buy’s website. There are several options to choose from, starting at $170 for a single module. First and foremost, the Connect Home is a hub for your ZigBee and Z-Wave SmartThings lights, locks, and thermostats, letting you control and automate your home through the Samsung Connect app for iOS and Android. It’s also a 2x2 MU-MIMO 802.11ac system that blankets your home in Wi-Fi to eliminate any dead spots. The combination of the two devices ensures interoperability between your network and devices, and makes the whole process as simple as possible. Samsung says a single Connect Home will cover homes up to 1,500 square feet and will cost $170. A three pack for larger homes up to 4,500 square feet will run $380, while a 4x4 MU-MIMO Connect Home Pro for homes “with high bandwidth demands for gaming, streaming or home offices,” will set you back $250. While it’s not an apples-to-apples comparison, pricing is pretty competitive. 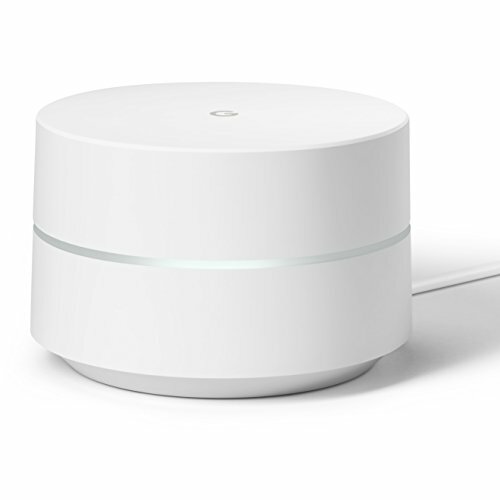 A single Google Wifi device costs $129, while a 3-pack costs $299. Linksys’ Velop system, on the other hand, costs $200 for a single unit and $500 for a three-pack, while Netgear’s Orbi will run you $350 for a two-pack. Samsung says you can connect up to five Connect Home nodes to cover 7,500 square feet of space. The impact on your home: Wi-Fi mesh routers and smart hubs are both nascent technologies, so combining them seems like a no-brainer. 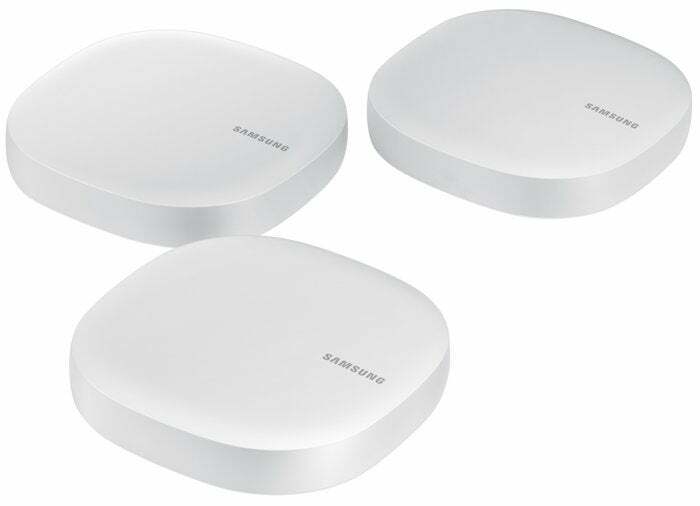 While we’ll need to test the Connect Home to know if it works as well as other mesh systems, Samsung has created a competitively priced device that solves two problems at once: connecting your gadgets and filling your home with speedy Wi-Fi.